BCG’s highly creative team continuously pushes the envelope, relentlessly delivering original programming and special events to its 140-plus managed golf course across the country. 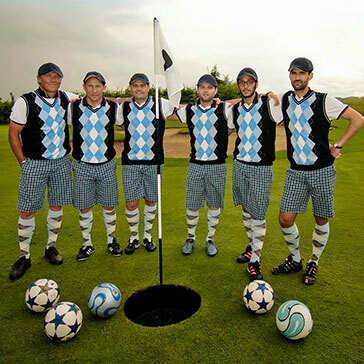 We are the frontrunners of introducing FootGolf, the widely popular golf-soccer hybrid. The new sport has met with rave reviews from golfers and non-golfers alike, resulting in increased foot traffic and added revenue. 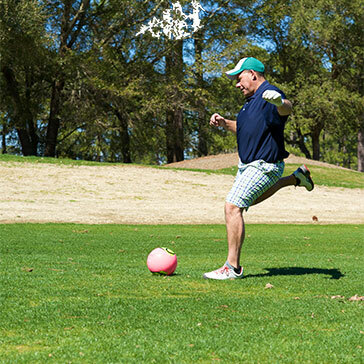 BCG prides itself in being an early adapter of FootGolf, the widely popular golf-soccer combination, at many of its courses nationwide. This exciting and unique sport has met with rave reviews, attracting new audiences of golfers and non-golfers. Courses are set up for nine or 18 holes, with each assigned a “par.” Players tee off, kicking a soccer ball until it falls into a 21-inch cup. Modified greens and holes are cut into the rough to avoid damage to fairways and greens, and to avoid affecting everyday golfers. The American FootGolf League provides a rulebook for players to follow. Availability, rates and soccer ball rentals are determined by each individual course. The 2014 World Cup showed soccer has mega fan power in the United States. With a record setting 26.5 million Americans tuning in to watch the Germany-Argentina finale, projected revenue for FIFA was more than $4.5 billion. Through FootGolf, golf has been cashing in on the popularity too, and BCG is at the forefront of introducing its managed courses to the new sport. BCG is at the forefront of introducing new technology to its courses, and the GolfBoard is undeniably the best way to experience your favorite local layout. 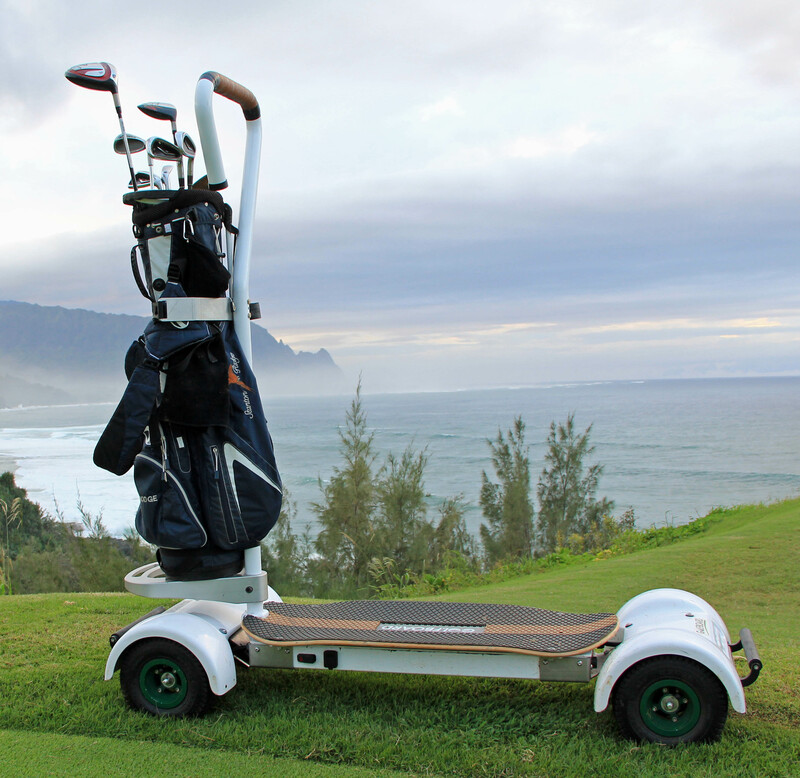 With input from surfing legend Laird Hamilton, the GolfBoard is designed to let golfers “Surf the Earth” gliding across and around the natural topography of a golf course. Standing atop a board powered by a lithium-ion battery, golfers control their speeds by a thumb throttle or wireless handled remote which allows for smooth starting and stopping. Multiple speed settings – “high speed” up to 11 mph or “low speed” up to 6 mph – are available depending on comfort levels. Turning is accomplished by gently shifting weight left or right. Bag Mount plus Handle: Golfers place clubs on the front of the board in a mount and use the handle for steering and balance purposes. Classic Carry: Golfers carry clubs on their back and use the handle for steering and balance purposes. Free Ride: Golfers carry clubs on their back and the handle is removed for the ultimate free-riding experience. Golfers are required to participate in a 30-minute training session before their first use; additional training videos and electronic waivers are available online for golfers who want to get on the board a little quicker. BCG is leading the way in customer engagement thanks to the Billy Casper Digital Network (BCDN), a revolutionary network of more than 140 websites instantly reaching and informing customers across America over multiple platforms. Want to know what’s happening at a BCG-managed course near you? Curious about what’s in the bag of the latest PGA Tour winner? Heard about the new Bubba Watson music video but don’t know where to find it? Look no further than the BCDN. 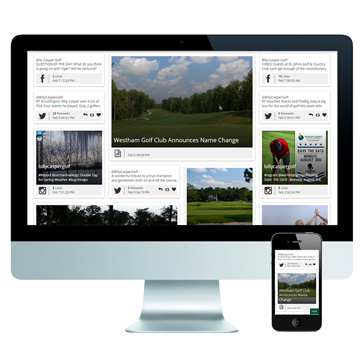 The Billy Casper Digital Network is a hub of information, connecting hundreds of thousands of golfers and their favorite courses through daily stories and announcements. From breaking news in the world of golf to hot products taking over the fairways, the BCDN will keep you in tune with the heartbeat of the golf industry. Our courses are highly encouraged to pitch stories to post on the BCDN. Ranging from the quick shout out of a golfer’s hole-in-one to a long-form story of exciting renovations, the digital network instantly reaches and informs customers across America over multiple platforms. In today’s age, content is king. And those who accurately distribute it the fastest gain a leg up on the competition. Social media is a rapidly growing pathway to news. A recent study shows 30% of adults utilize Facebook to find and consume news, and nearly half of all social network site users share news stories, images or videos. People aren’t waiting until tomorrow morning to read the newspaper, information is immediate and instantly shared among friends. The team at BCG is eager to help you get your message out quickly to a vast network of golfers. Leverage our talented team of writers to aid in crafting stories, Tweets and Facebook posts that people crave and respond to. In BCG’s case, it’s worth $100. #BCGPix is an original, innovative program rewarding loyal customers with gift cards for original, creative photography of their favorite BCG layout. Available at select courses, the unique contest creates deep connections with guests and increases social interaction with more than 2 million golfers. To participate in the month-long contest, golfers submit a photo of the course they are playing to the facility’s Facebook, Twitter or Instagram page using a designated hashtag. Judging is conducted by a committee comprised of BCG marketing service team members and staff from each facility. 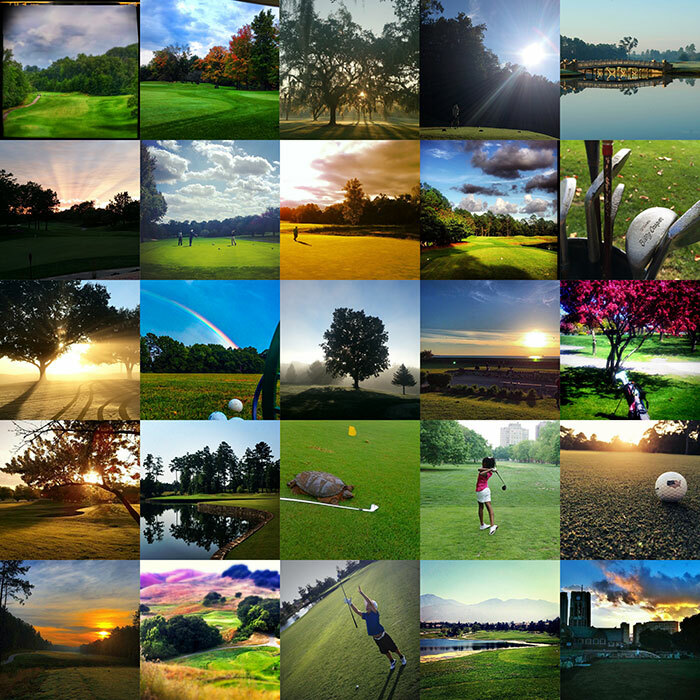 Winners receive a $100 gift card to the course at which they shot the photo; one winner is selected per facility.